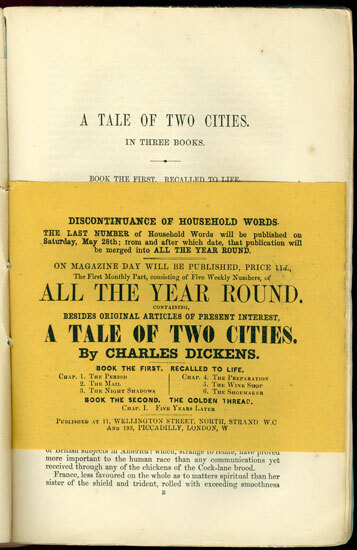 A Tale of Two Cities, Dickens' twelfth novel, was serialized in All the Year Round from April 30 to November 26, 1859. The iconic first words -- "It was the best of times, it was the worst of times" -- appear at the top of page 1 of the first number. 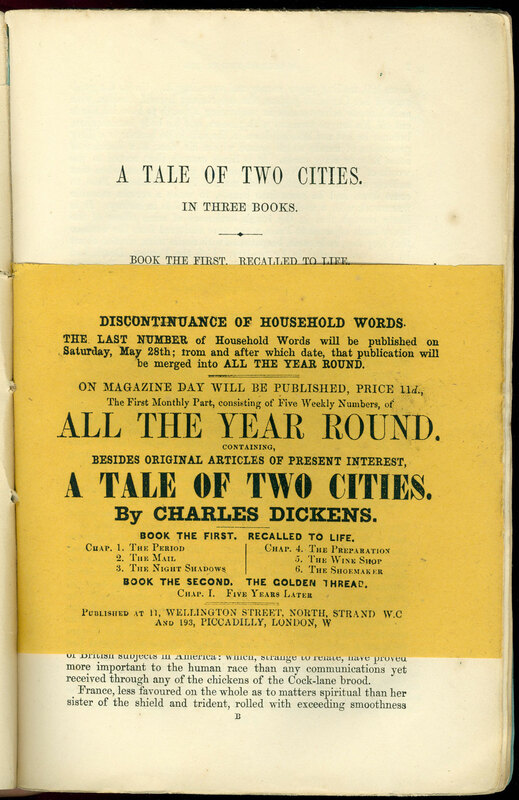 A Tale of Two Cities was simultaneously issued by Chapman & Hall in monthly installments, illustrated by H.K. Browne (shown to the right). 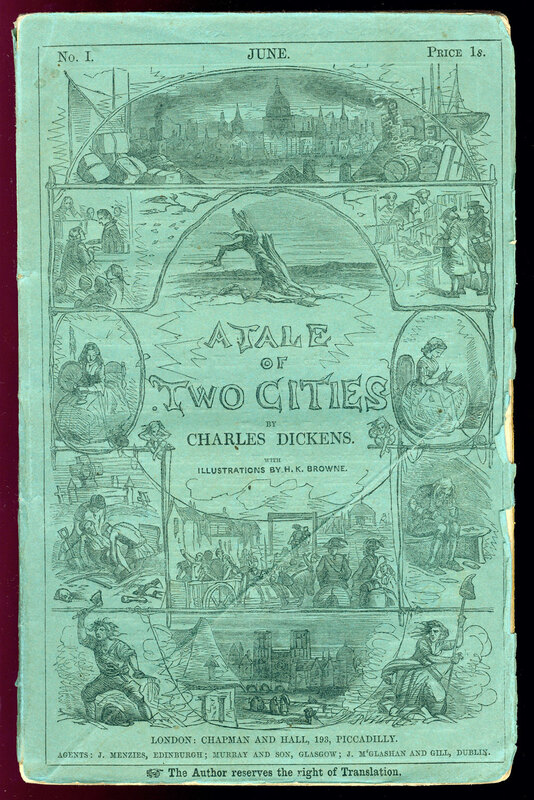 This was the last of Dickens' novels to be illustrated by Browne. 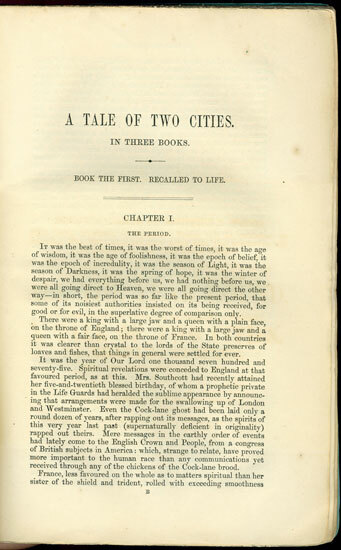 A one-volume edition, also published in 1859, was advertised in volume two of All the Year Round. 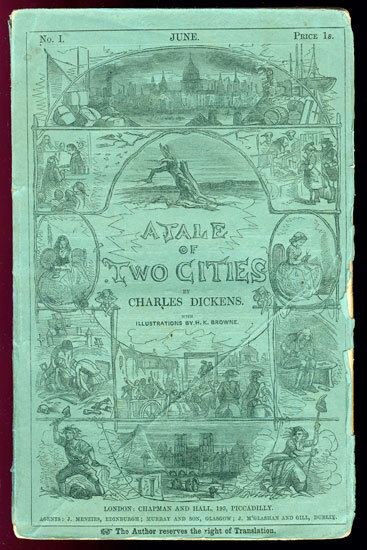 The seven monthly installments of Dickens' novel about the French Revolution all feature the same illustrated blue paper wrapper with various scenes from the story drawn by H.K. Browne. Part no. 1, dated June 1859, includes an inserted notice announcing the end of Household Words and its merger into All the Year Round. 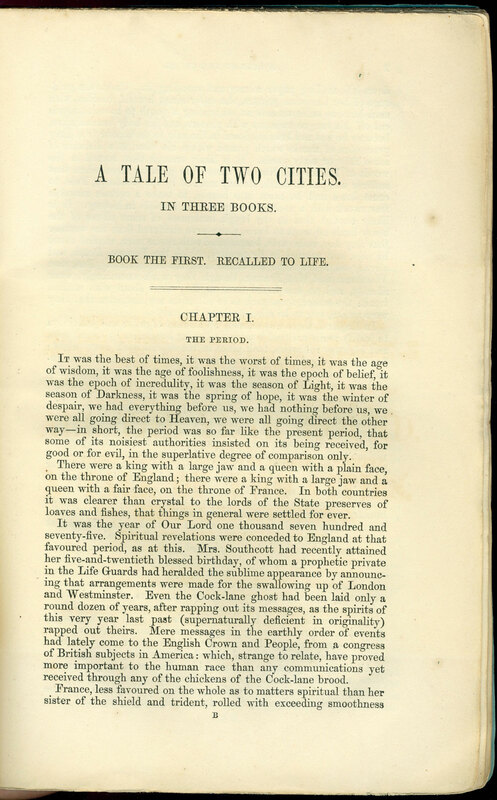 It also announces boldly that "besides original articles of present interest," the first monthly part contains the start of A Tale of Two Cities.